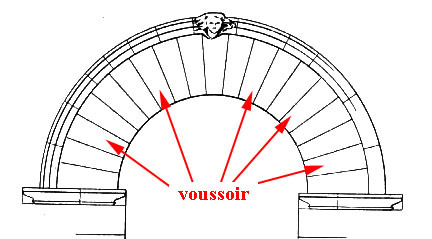 voussoirs: IS TODAY'S ARCHITECTURE A HOAX? 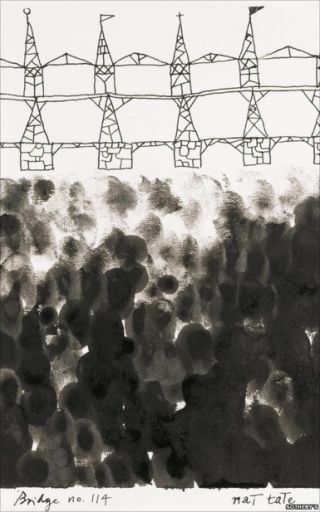 The problem with modern art/architecture is that its unintelligibility frequently generates a dismal chasm that very few choose to admit to facing. 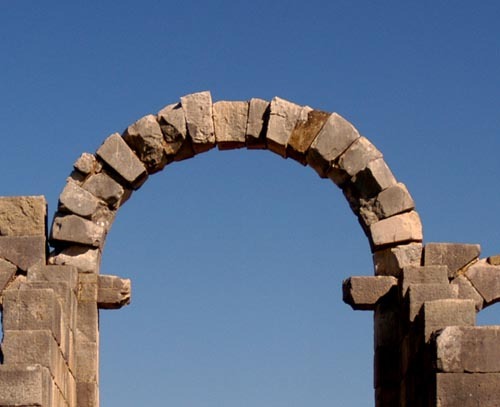 Rather than expressing any cynical questioning, or presenting a critical opinion on what is before them, folk make 'appropriate' sounds, and 'knowing' and 'agreeably clever' statements to conceal the reality of their dismay, their knowing nothing but silent disgust and astonishment at the bizarre things presented to them. The alternative is for them to just shut up, to keep to themselves in order to conceal their true thoughts, so as to prevent any potential perception of 'igonrance' by the pretending masses that glean enthusiasm from each other's sheltered incomprehension. The marvellous William Boyd 'Nat Tate' hoax highlights just this circumstance. 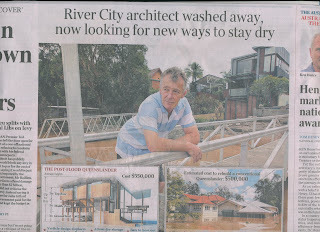 It is a serious matter because some works like those of Gehry in architecture, and Hadid and others too, get promoted uncritically as being the works of remarkable genius, and are sustained/promoted as such, purely, it seems, on the ground of timidity – being scared to admit to being totally confused with the seemingly chaotic, ad hoc 'shambles' of what appears to be a set of sad, expensive jokes being put to the world as 'great art' – architecture, complete with some esoteric, and otherwise ordinary 'narratives.' Crumpled brown paper bags come to mind here. Few today are game to stand up to the juggernaut of hopeful, fashionable opinion that seeks to highlight exotic, bespoke, indulgent preferences for their own personal benefit. Rarely does anyone bravely declare these apparent rash assemblages as being somewhat like 'meaningless, random rubbish.' Rather, we see acolytes cringing silently behind fancy words of fabricated praise that conceal great voids of understanding and holes in ordinary, honest experience, all to be seen as 'intelligently arty' and 'sophisticated,' while mocking those who do not behave likewise. There is a crowd mania here that drives silliness on blindly along the road to circular oblivion. The Nat Tate affair was a brilliant strategy, a hoax that exposed the very worst of this 'advant-garde' approach to what can perhaps be seen as slip-slop scrappy works described as being otherwise, things that are usually starkly different, over-hyped and over-priced. The question is: how can this terrible lie ever be changed? How can anything become a serious search for meaning today when such outrageous frivolities are perpetuated by the momentous inertia of the media to things it does not choose to consider; to questions and doubts about art and architecture? 'Man eats dog' is the preferred news of the day. Gosh, Boyd was able to sell one of his paintings through Sothebys as a 'Nat Tate work'! It took the death of David Bowie to raise the Nat Tate story once more. It needs to be told, and told again, lest we forget. It was one of the smartest tricks ever played on the worlds of art, literature and the media. 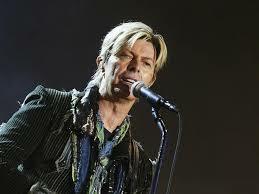 It even involved the late David Bowie in one of his most mischievous moments. Among the many memories that the superstar’s death brought back for me was of one sultry evening in New York in 1998. Bowie, with his wife Iman at his side, hosted a reception in the studio of American artist Jeff Koons on the corner of Broadway and East Houston Street for the launch of the latest book by bestselling British writer William Boyd. 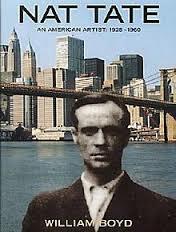 The book told the life story of American Abstract Expressionist artist Nat Tate, who suffered from depression, destroyed 99 per cent of his work, and tragically ended his life by jumping from the Staten Island ferry. Among guests at the launch were artists Frank Stella and Julian Schnabel, the hip New York novelist Jay McInerney, fellow writers Paul Auster and Siri Hustvedt, dealers, collectors, press and TV, and assorted hangers-on. 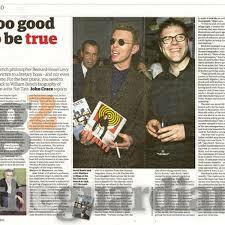 Bowie read from the page where Boyd heart-rendingly detailed Tate’s death leap at the age of 31. His body was never found and very little of his work survives. The gathering stopped sipping the whisky provided by the event’s sponsors for a few moments (Bowie at the time only drank water and sent an assistant to get some). The crowd took their eyes off Koons’s colourful, kitsch sculptures of kittens, and listened attentively, then resumed drinking, networking and seeing who could impress most with opinions about Nat Tate’s life and work. It was a glittering evening, probably the major event in that year’s cultural calendar, and beneath the glitz a poignant tribute to one of the 20th century’s pioneering artists. More parochially, it was also the evening that was to give me the biggest scoop of my journalistic career. For, as I revealed on the front page of The Independent a few days later in an exclusive that was to go round the world, Nat Tate never existed. The book, the artist, the party and the involvement of Bowie, who was certainly in on it, were all part of an elaborate, star-studded hoax. 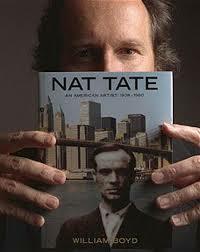 The book Nat Tate: An American Artist 1928-1960 was the first to be released under the imprint of Bowie’s new publishing venture, called 21. The project would certainly have appealed to his love of fantasy, acting a role, creating a persona, and indulging in sheer mischief. I went to New York to cover the event and freely admit that as I travelled there on the plane I saw no reason to doubt the existence of Nat Tate. I, like all the rest, began to convince myself that I must have seen some of his haunting Abstract Expressionist works in one of our major galleries. But once in New York, I began to have doubts. It was all very odd. This clearly was a major event. The Sunday Telegraph was running an extract from the book that weekend and The Observer was writing a report of the launch. Yet art lovers seemed only to have a passing acquaintance with the brief, sad history of Nat Tate, depressive genius, lover of Peggy Guggenheim, friend of Braque and Picasso. Once in my New York hotel, I overheard some enigmatic conversations about Tate among the launch’s organisers and then reread Boyd’s short book. I decided to check out some of the detail in it. I went to inquire about Tate’s life at Alice Singer’s 57th Street gallery where Boyd wrote that he had first seen one of Tate’s drawings. 57th Street indeed existed. Alice Singer’s gallery did not. 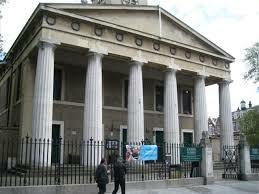 Nor did any of the other galleries referred to in the book. I did a lot of walking in what was a mini-heatwave and found that address after address just wasn’t there. I then questioned some of those close to the project and the alarmed looks all but signed off the story for me. I also began to wonder about the name Nat Tate. How conveniently similar it was to one, if not two, famous London art galleries. It was all a brilliant ruse, more than helped by expert endorsements. Picasso’s biographer, John Richardson, was clearly one of the very few in on the secret, as was Gore Vidal, who described the book on the jacket as “a moving account of an artist too well understood by his time”. Neither Jeff Koons, who hosted the launch (held not insignificantly on the eve of April Fool’s Day), nor his fellow New York artists present were aware of the truth, or of the fact that at least one of the paintings in the book ascribed to Tate was by William Boyd himself. 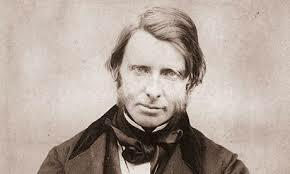 Photographs ostensibly of Tate were pictures taken by Boyd in various locations in the city. So what did it all prove? Aside from the fun aspect, and the cleverness of Boyd’s use of and allusions to so many aspects of 20th century art, it showed, as his imaginative and brilliantly executed project probably intended, that the art world, perhaps the whole cultural world, is scared ever to admit to a lack of knowledge, scared ever to use the words: “I’ve never heard of him.” How quickly the great and the good of that world convinced themselves of Nat Tate’s existence. That’s something we could still all do well to ruminate on. 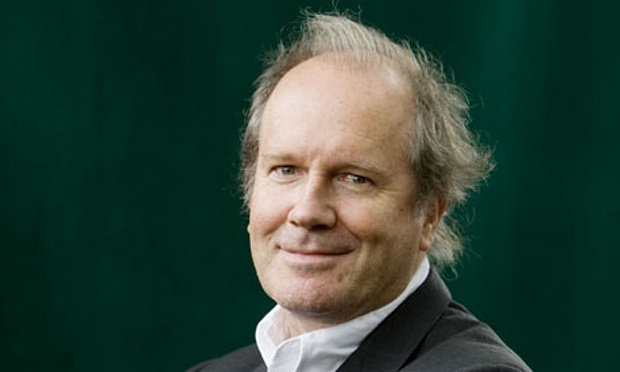 William Boyd’s objective in writing the book was an intriguing and sophisticated one. Looking back, he has said: “My aim was, first of all, to prove how powerful and credible a pure fiction could be and, at the same time, to try to create a kind of modern fable about the art world. In 1998 we were at the height of the Young British Artists’ delirium. The air was full of Hirst and Emin, Lucas, Hume, Chapman, Harvey, Ofili, Quinn and Turk. My own feeling, was that some of these artists – who were never out of the media and who were achieving record prices for their artworks – were, to put it bluntly, not very good. 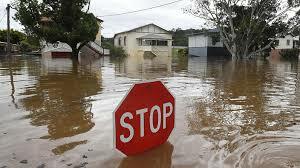 And yes, the parable or satire was certainly well-timed. And the saga seemed to run and run. 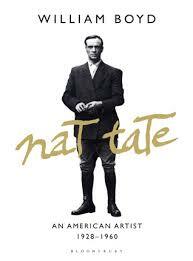 In 2011 a drawing signed by Nat Tate sold at Sotheby’s. It was, of course, by William Boyd. And still the oddities surrounding the saga continue. For the first time yesterday I looked at the Wikipedia entry for Nat Tate and found that my part in it was duly recorded, but so was the conclusion apparently drawn by Newsweek magazine in New York that I too did not and do not exist. I’ll be sure to avoid the Staten Island ferry. Journalistically, the story certainly made waves, being recycled at the time in papers as far away as the Andes. Not everyone thought it funny. William Boyd has since said that he was far from happy, as there was a UK launch of the book the following week in London, and The Independent’s scoop had rather changed the tone of it. 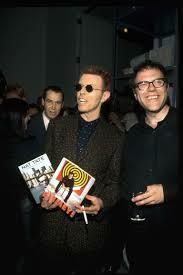 I suspect that David Bowie was rather more amused. Indeed, at the New York launch, I kept my eyes on him during the reading, and if I needed any confirmation that my story was correct, it was his constant smile and twinkle in his eye, even while reading aloud about Tate’s tragic end. Nat Tate could not have had a more illustrious, nor more appropriate, champion.